At Lightbridge Academy, we offer plenty of opportunities for active play. We understand that physical activity is critical for the development of your child's gross motor skills (movements that use the large muscles in the legs, arms and body) and promotes healthy and strong children. 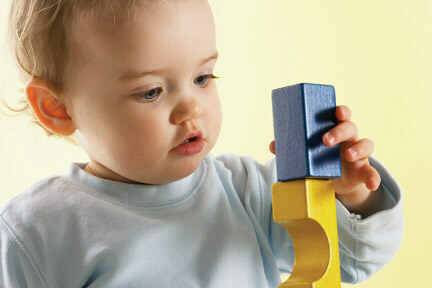 Motor skills are motions carried out when the brain, nervous system, and muscles work together. For an infant they include rolling, crawling, & walking. For older children they include balance, walking, running, jumping and dancing. We also understand the importance of developing fine motor skills. Fine motor skills are the small movements (such as holding a spoon for young children, and using a scissor for older children) that use the small muscles of the fingers and toes. One of the most important ways we can help our children develop is by setting up simple activities that help to develop these basic skills. Preschoolers need to hold and use scissors and pencils in the appropriate way before using them in a regular classroom. They will have a hard time writing numbers or cutting construction paper, if they haven’t yet developed the strength needed in their hands and fingers. Regular exposure to these tasks develops the hand skills children will need in kindergarten and beyond. The good news is there are plenty of easy ways to strengthen these muscles and practice coordination using simple, everyday materials and a bit of creative fun! Easy activities such as stringing beads, snipping paper strips, cutting coupons, handling clay or dough and bending and shaping pipe cleaners will help your child use their imagination and build the fine motor skills necessary for their development. There are so many different activities you could use to cater to your own child’s particular interests and learning abilities. Try some of these activities on a rainy day to keep them busy, with their hands and their minds! These are just a few simple activities that you and your child can do together that will help build their fine motor skills, while having fun!